Every trip to my Great Grandpa’s house was quite memorable. I remember the stories of his time spent in war, the dried banana chips he frequently snacked on, but most distinctly I remembered his strange fascination with puzzles. He spent hours upon hours studying the pieces, but his satisfaction came with locking the pieces together and seeing vivid detail added to the picture. I was continually amazed as he would complete puzzles that had hundreds or even thousands of pieces. As my teammates and I have visited agriculture classrooms across the state I have seen the parallels between puzzle pieces and FFA members. Every student within FFA and Agricultural Education is unique, just like the puzzle pieces my Great Grandpa loved. Even in those thousand piece puzzles, somehow the unique pieces begin to take shape and form a beautiful picture. 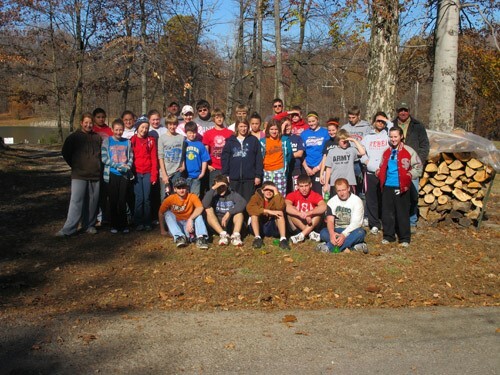 The students who come from an agricultural background represent the edge pieces. While they are a great place to start and crucial to the puzzle, it is the middle pieces that are often hard to fit that make a puzzle vivid and meaningful. 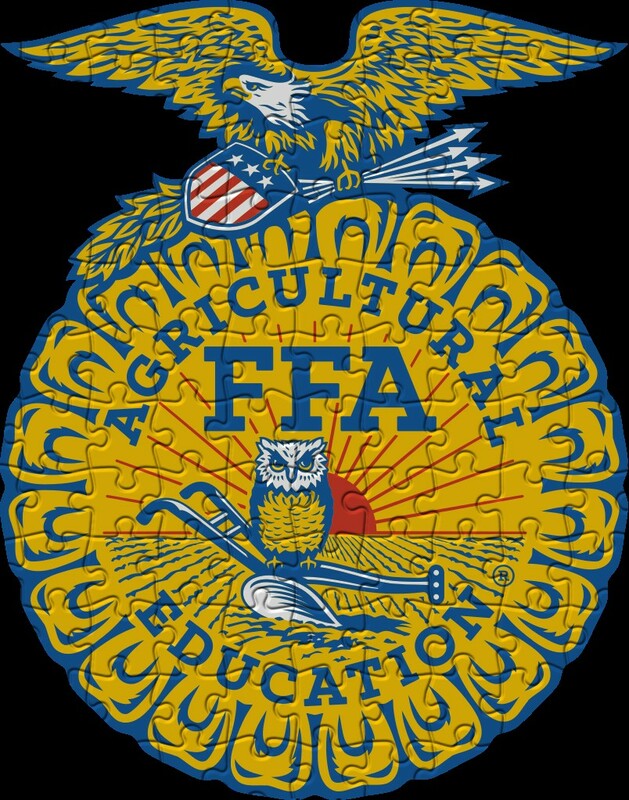 FFA and Agricultural Education takes the jagged middle pieces and finds a way for them to fit perfectly within the puzzle. It takes anyone from the student at the top of their class to those who struggle to pass a single class throughout high school. It pieces together the athletes and those who would much rather spend time in the music department. It snaps the shy students with those who are more comfortable in front of a crowd. The pieces alone seem jagged and imperfect, but together each piece creates the beautiful picture of the National FFA Organization. Occasionally, my Grandpa would get frustrated and reference the picture on the front of the puzzle box, this picture is comparative to the wonderful agricultural educators that guide students every day. In honor of National Teach Agriculture Day occurring this past Thursday, I would like to thank my front box guides and I encourage each of you to do the same. Mrs. Schilling, even though you were not my advisor for the entirety of my FFA career, you were the guide who helped me figure out the initial pieces of the puzzle within my FFA membership. Your passion in and out of classroom fueled me to work harder to form my FFA masterpiece. Ms. Williams, you are the one who helped me solidify the details within my puzzle, while pushing me to be better. Thank you for being the one who helped me strategize the best methods to complete my puzzle. Dad, even if being a teacher’s kid can be difficult, I am glad I had your support and encouragement throughout the years. You were the one who kept me focused on the puzzle of FFA and life even when it seemed like there were thousands of pieces that would never fit together. Mrs. Arellano, you helped me look at each puzzle life gave with a new angle. I never had the opportunity to have you in class, but before you were at Eastern Hancock you were the advisor with a new perspective and I sincerely appreciate it. Without each of you, my puzzle would simply be a box of jagged pieces. Your support allowed me to create a beautiful puzzle with vivid detail, just like the ones my Great Grandpa admired. Embrace the puzzle of life and FFA. I encourage each of you to explore where your fit is within the puzzle of FFA even if you may feel like the jagged piece that will never work right. I also encourage all FFA members and supporters to appreciate those front box guides who help as we piece together the puzzle of life and FFA. It is pretty common to hear that Indiana is home to… nothing… The State of Indiana may be said to be home to flat land, corn fields, and not much more. Many say that they cannot wait to get out of the Indiana State and move to a more exciting location. For a while I thought the same about the State of Indiana, I believed that Indiana had little to nothing to offer me or anyone else. I mean, what does Indiana truly have to offer? Nothing, that’s what I thought. I wanted to get out of this state and garner new experiences in other countries, regions, or even other states. That was until I realized that there is more than corn in Indiana. It was the very first day of Chapter Visits for the State Officers. I had just finished presenting some curriculum to nearly 70 students at a high school in District II. I had finished the day a bit early and had some time to go get some food at a nearby restaurant. Mr. Martin, Leah, and I finished eating at the restaurant, which I will say had some fabulous food, and decided to go to one of the nearby lakes. We were in Kosciusko county in North Central Indiana. It may not be known by many, but there are numerous lakes in that county. Mr. Martin informed myself as well as Leah that he was heading to Lake Wawasee and invited us to tag along with him. I made the short two-mile drive to the lake, thinking, “oh it’s just going to be some oversized pond with a doc or two in the water.” However, once I pulled into the drive that lead to the lake, I was quickly assured that this was going to be a beautiful sight. Lake Wawasee, I could see it, the largest natural lake wholly contained in Indiana. I parked my car and walked with Mr. Martin and Leah to the Lake. We stood at the lakes edge and just looked off into the distance. I was truly amazed at the beauty I was seeing. I had never heard of any of the lakes in Kosciusko county, let alone Lake Wawasee. It truly was a spectacular sight. Ever since that moment, I have continued traveling the state of Indiana for chapter vists, I have driven the same car at the same speed, I was looking out the same windshield with the same eyes, but I was looking through those eyes with a different perspective. I was observing the natural and unnatural beauties the state of Indiana has to offer. From the beautiful Trine University campus in Angola to the massive windmill farms in Benton County and the endless cornfields to the winding rivers, Indiana truly has a lot to offer. I have now realized that Indiana is a beautiful state, that Indiana has magnificent features, entertaining attractions, and most importantly amazing FFA members that are showcasing this beautiful state. Get out and explore Indiana, there is more than just corn. “LDW: Investigation Impact” these words were carefully analyzed by my team and I as we sat in the office at the Indiana FFA Pavilion to decide on the theme for our upcoming conference. The word investigation meant nothing more than just a word related to our mystery theme for the weekend, but the word impact means so much more now than it did when we were in the State Fair debating about rhymes and alliteration. Receiving my birthday card signed by all of the conference attendees, dressed up as "Millie Cyprus" of course. When the time came to start the conference and all of the members were registered, my teammates and I were beyond excited to start impacting members. Session after session I was reenergized by the positive reactions they had to the things we had spent so much time planning. Flash forward to the banquet that happens the Saturday night of every conference, but this one is very different because it is the first ever mystery dinner theater. With all this chaos, I assumed that a small detail like my birthday would be forgotten by everyone except my family. Once I was dressed as “Millie Cyprus,” and had a mouthful of porkchop, I was shocked to see Emily call me to the stage to sing happy birthday. I was even more shocked when they pulled out a card, but I was almost brought to tears to see that everyone at the conference had signed the card. Emily and I celebrating after members "exited better" after we facilitated our very first session! 9/11 reflections to honor those who lost their lives 15 years ago this weekend. These members make my heart feel whole. The members that I have the privilege to serve make every long night worth it, they may not even realize it but every single time they choose to make conversation with me, write me a happygram, tell me a joke, or take an activity seriously, they make an impact on me and I can never thank them enough. If someone were to ask me what my very first memory of the Indiana FFA Leadership center was, I would chuckle, and then begin to describe my first chapter campout. Here’s some background information about this trip: I was in 6th grade, I was only known to the older FFA members as “Luke’s sister,” and the only thing I knew about this mysterious getaway was that everyone called it Raglafart. As we began the three-hour drive to what I later learned was the Indiana FFA Leadership Center, anticipation, as well as carsickness, grew with every curve and hill. When we arrived that night, my friends and I ran from the dam to the Band Tower, and covered every acre in-between. We screamed in the dark, stayed up all night, and truly made memories that will last a lifetime. As we left the Center that weekend, I felt as though I had found my home. It’s easy to think back and recall all of my best memories at the Indiana FFA Leadership Center, but it’s more difficult to think where I would be, or even what I would be, without those experiences. For the past seven years of my FFA career, I have looked forward to camps, conferences, and any other excuse that would bring me to the Center. Whether that was once a year or multiple times a year, each time I visited it felt like home. Up until a few days ago, I don’t think that I had come to terms with the impact that this place has made on me. Upon the recent launch of Indiana FFA Foundation’s Pay-It-Forward campaign, my teammates and I decided to make a promotional video entitled “101 Reasons to Love the FFA Center.” The idea of this video was to create a humorous reminder of just how many great things our center has to offer! As we began to brainstorm I continued to think back to that first trip to the center, my first camp, and even my first night here as a State Officer. It made me think of the 11,856 current FFA members and what the Center means to them. Indiana FFA Alumni members, Past State Officers, and every other group that visits the Indiana FFA Center each year. Whether it is an FFA member that lives five miles down the road, or five hours across the state; an FFA Alumni that enjoyed the Center years ago, or a junior high member that has years of memories to make, the Indiana FFA Leadership Center has and will continue to be their home. For the past 48 years, our Leadership Center has welcomed thousands of guests each year. 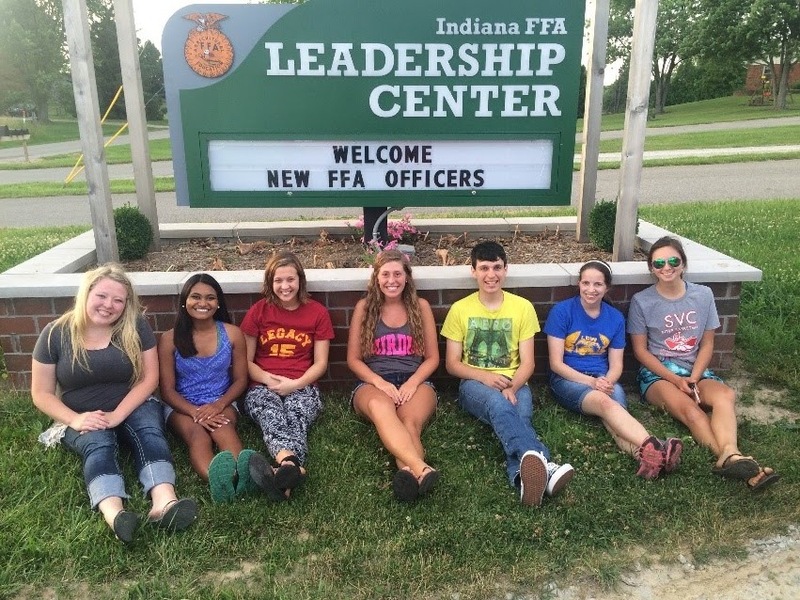 No matter who you ask, young or old, they all have a story about how The Indiana FFA Leadership Center became their home. First day at the center as State Officers, when it officially became our home.